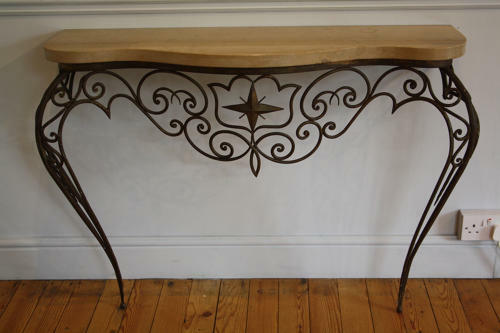 A serpentine shaped travertine marble and metal wall console table with star detail. Italian c1950. The travertine is pale coffee coloured and has the odd scratch and nick commensurate with age. An elegant piece that would work well in many interiors.